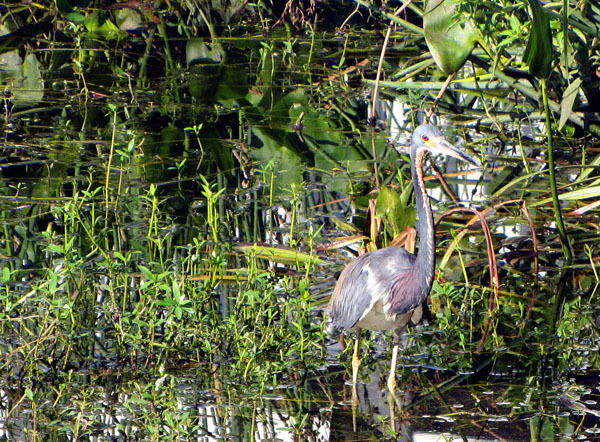 The thing I really love about Florida is that there's incredible wildlife in every direction you look. 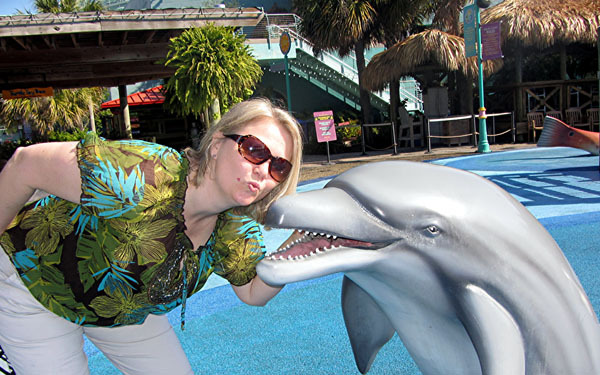 This photograph was taken in the parking lot at the Florida Aquarium. I think it's so beautiful! I also got some really neat pictures of cars a few moments later. 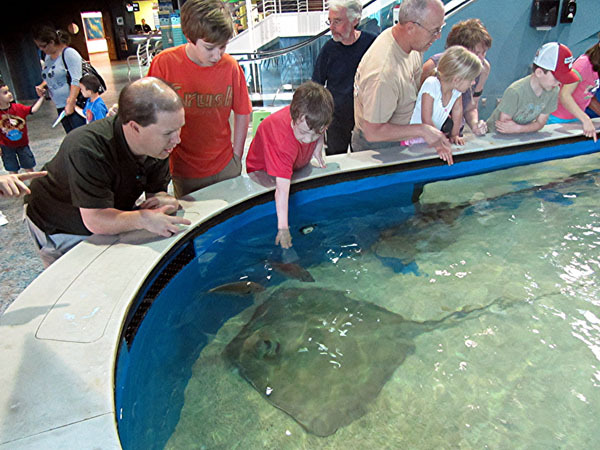 On our first full day in Florida, we went to Tampa Bay's Florida Aquarium to see the fish and other local wildlife trapped in cages. 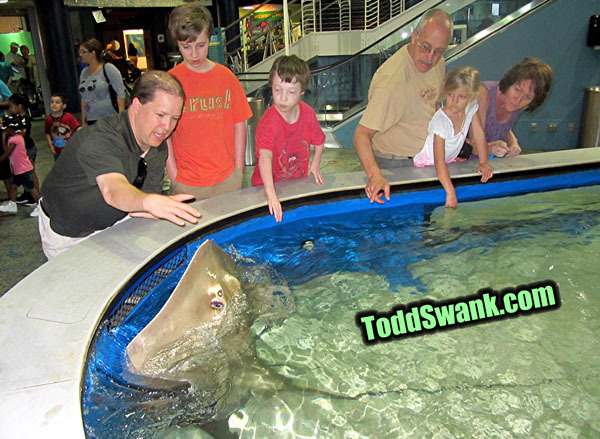 We fulfilled all of our weird sting ray touching desires that had been building inside of us. 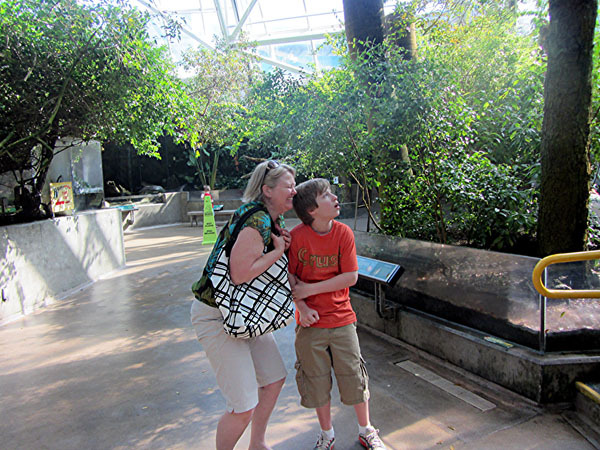 They had one big room where they let all the birds and stuff fly free around us. Some of the birds didn't want to take advantage of this opportunity, so we thought we'd help them and kept poking them until they took to the skies! Some of the birds were pretty big and surprised us when they flew right next to our heads as happened to Sheri and Avery about 5 seconds before I took this picture! 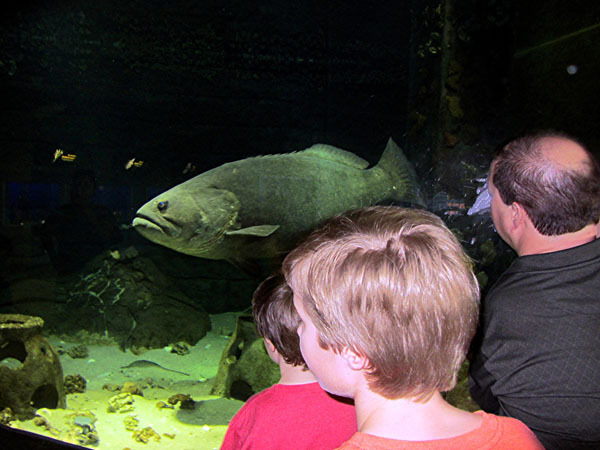 These massive fish are found near the large pilings under the bridges on Tampa Bay. 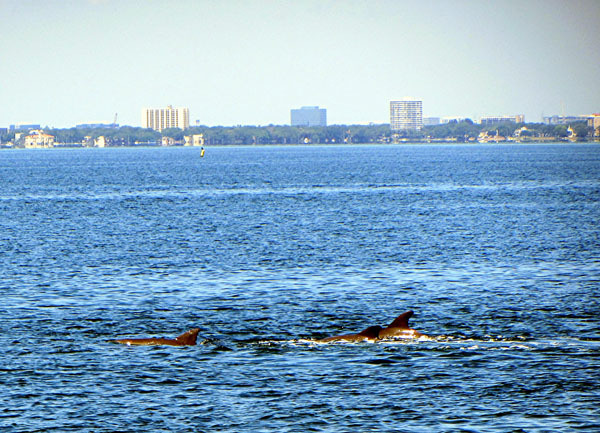 Which is why I don't go swimming near the bridge pilings in Tampa Bay. 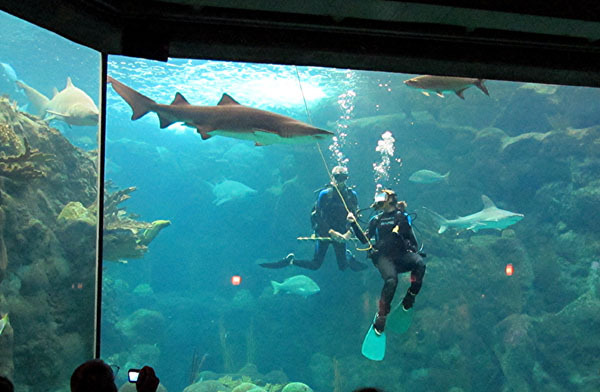 We walked by and were very excited that maybe it was feeding time in the shark tank, but it turns out these divers worked there and were actually talking to the people outside the tank. Apparently these sharks don't ever even get to eat people, so things ended up being much more boring than we were initially expecting. Our favorite exhibit was the one featuring a large school of fish continually being penetrated by some sharks and stingrays. All the fish would swim apart and then just swim back together again. It has to be kind of annoying to have to get out of the way of these bigger creatures all day, every day, for your entire life! 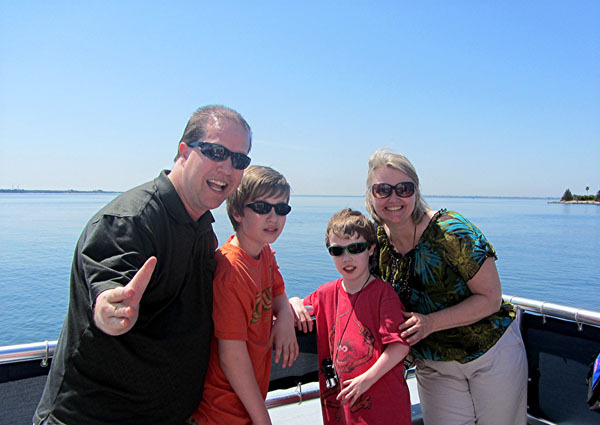 In the afternoon, we hopped on the Aquarium's Big Boat and cruised through Tampa Bay to hunt for dolphins! Actually, it turns out we were just supposed to look for the dolphins with our eyes, because they told us guns, bows, and arrows were strictly prohibited. Seems like false advertising to me. After seeing these magnificent animals, I decided there was no way I could personally hunt one of them. I knew I'd just have to satisfy my urge for dolphin meat through my cans of tuna like I've always done in the past. The boys took my camera and were able to capture quite a bit of videos of the dolphins which impressed me. Of course I'm kidding in the comments above. We love dolphins and would never do anything to hurt one! But I'd still love to ride one some day if I get the chance. This was Day 2 in Florida for the Swank Family.